If you are purchasing a home, having a home inspection completed is imperative. A home inspection can save you from walking into a disaster. More importantly, it also gives you the confidence of knowing what you’re purchasing. 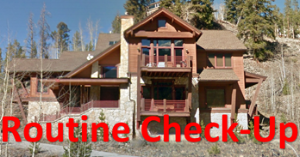 A routine home inspection can be conducted whether you are selling your home or not. This is a great tool for those who are considering home improvements but haven't decided where to start. A home inspection can help pin point areas in a home that are subject to fail soon or are in need of repair. Routine home inspections can also include inspecting individual components in the home. For example inspecting the hot water heater to determine if it is in proper working condition. Are you getting ready to sell your home? Get a pre-inspection done to pin point areas that need to be repaired or replaced prior listing your home. A pre-inspection can help eliminate surprises popping up while you are on a deadline to meet your closing date. Residential Home Inspections - Buyers Inspections for Homes, Condominiums, Apartments, Etc. Pre-Listing Inspections - Sellers Inspections to Prepare Your Home Before Listing. Independant Component Inspections - Appliances, HVAC, Etc. 1. FLIR thermal imaging camera. This is used for checking everything from HVAC systems, electrical panels, to walls of a home. The thermal imaging camera allows us to see inside walls to look for leaks or check service panels to see if breakers are overloaded. 2. FLIR moisture and relative humidify meter. Checking for moisture intrusion into a home is extremely important. Moisture intrusion can be responsible for structural and cosmetic damages to a home. Also, high levels of relative humidity can invite 1000's of different types of mold to grow inside a home. 3. EXTECH AC circuit load meter allows Inspector Badget to test outlets to ensure wires are appropriately attached as well as test ground fault circuit interrupters (GFCI) and arc fault circuit interrupters (AFCI) outlets. This device also checks for load capacity as well as peak line voltage which helps assess if outlets and breakers are installed correctly. 4. UEi combustible gas detector lets Inspector Badget check appliances, piping, and utility meters for leaks. This is a very important tool because any leak to a gas system can become extremely dangerous. This device checks for propane, natural gas, gasoline, alcohols, halon, ammonia, and methane. 5. Sensorcon's carbon monoxide meter allows us to check combustible appliances where carbon monoxide is released. This device also protects the inspector when entering crawl spaces or areas where high concentrations of carbon monoxide buildup is possible. 6. Air Things - Corentium Pro Radon Monitor. The Corentium Pro is AARST/NRPP (American Association of Radon Scientists and Technology/National Radon Proficiency Program) certified. The AARST and NRPP are the governing bodies of Radon testing/monitoring in the United States. The Corentium Pro is equipped with four (4) individual sensors which work in parallel measuring temperature, humidity, atmospheric pressure, tilt, and of course Radon levels. Inspector Badget LLC is certified through the International Association of Certified Home Inspectors (InterNACHI) and insured through American Family Insurance Company. Inspector Badget LLC offers a $10,000.00, InterNACHI backed integrity honor guarantee, to cover property stolen during an inspection. 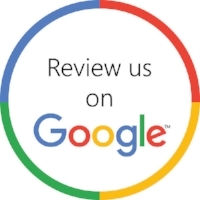 Inspector Badget LLC also offers a “We’ll Buy Your Home,” guarantee if we miss anything during the inspection, we will purchase your home back. Click the links below for additional details.